lives of millions of millions of people around the world. For that, TIME Magazine’s editorial board decided that Zuckerberg should be 2010 Person of the Year. While Facebook was ‘successful‘ long befor 2010, it has been a big year for Zuckerberg and his company. In the past year, Facebook has cemented its place as the world’s most dominant social network having surpassed the 500m registered user mark, has reportedly seen rapid revenue growth and is increasingly considered by some to be a competitor to Google. Oh, and Zuckerberg’s story was one of Hollywood’s biggest hits as The Social Network brought the young billionaire’s story to the big screen. But despite all of these things, TIME Magazine’s selection of Zuckerberg has been met with a lot of criticism. Many, it seems, simply don’t think that Zuckerberg was the most worthy person. 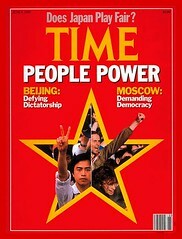 And critics have ammunition: TIME asked the world to vote and Zuckerberg wasn’t at the top of the list. In short, TIME put itself in the difficult position by asking the crowd for its opinion on Person of the Year, and then choose a ‘candidate‘ who didn’t receive all that many votes. With his 18,353 votes, Zuck was 363,672 votes behind WikiLeaks’ Julian Assange. Also beating out Zuck by substantial margins: Turkish prime minister Recep Tayyip Erdoğan, recording artist Lady Gaga, comedians Jon Stewart and Stephen Colbert and television personality Glenn Beck. Certainly, there’s a strong argument to be made that TIME shouldn’t select Person of the Year based on the ‘wisdom of the crowd‘. TIME has never intended Person of the Year to be a popularity contest. But voting did provide some quantitative insight into which people consumers thought made the biggest mark on the world this year. The question is: in choosing Facebook’s CEO, who received far fewer votes than the top nine vote-getters, did TIME demonstrate that it’s out of touch with the masses? If an arguably poor Person of the Year selection was all there was to it, it would probably be presumptuous to question TIME’s editorial board. But supporting that notion that TIME Magazine just might be losing touch with readers are its circulation numbers, which have declined substantially over the years. In the second half of 2009 alone, TIME’s circulation dropped more than 30%. While magazines have had a tough go of it generally for many reasons, magazine executives shouldn’t convince themselves that a perceived lack of value in the product isn’t one of the problems. It is. Statistical troves like Twitter’s 2010 Year In Review show (and validate) more than TIME can ever hope to in 2010. We don’t need a magazine to tell us what we care about. We know what we care about – because we’ve made it important, not an editorial board. He’s right, of course. There might be a lot of noise on services like Twitter, but thanks to the internet, it doesn’t take a whole lot to figure out what people care about on a macro level. The secret to remaining relevant for publishers? Paying attention to all of the signals out there that indicate what people are interested in, excited about and concerned with. Paying attention to those signals doesn’t require that publishers write about what people want to hear, or to refrain from taking positions. Instead, it gives publishers a greater opportunity to connect with readers and stay relevant. For some reason, many publications, including TIME, seen unwilling or incapable of doing that. Perhaps when a major publishing executive finally sees the light, he or she will be named Person of the Year. Photo credit: juggernautco via Flickr.